ODENSE, Denmark: Showcasing the latest breeding breakthroughs alongside tried and tested plant varieties, the spring edition of Handelspladsen, Denmark’s leading ornamental plant show, will be held in Odense from August 12-13. Plant professionals from across Europe will be treated to a sumptuous display of bedding and border plants, houseplants and patio plants. 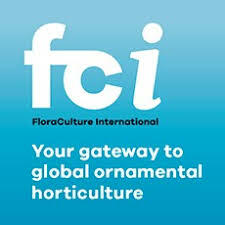 The two-day miniature plant festival is set to host a significant number of talented newcomers among which many niche type products, miniature plants and exciting merchandising concepts ornamental plants from Denmark are famous for. This year, trade show goers will have the chance to visit pavilions of the Danish Nursery Association and Danish garden centres, which will be set up at the premises opposite the Handelspladsen show. Running more or less parallel with Handelspladsen is the annual Odense Flower Festival, taking place from August 13-16. The theme for this year is “Carl Nielsen’s Universe”. With an annual production of approximately 400 million plants, 70% of which are exported, Denmark ranks as the world’s second largest exporter of potted plants.